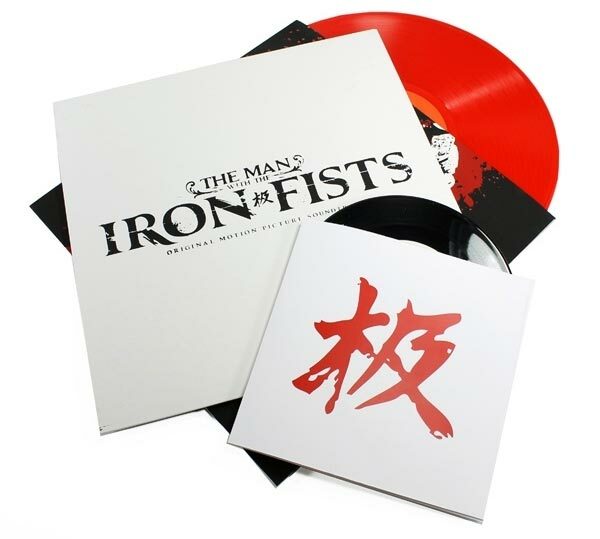 If you’re looking to grab the RZA produced The Man With the Iron Fists vinyl soundtrack then you may find yourself a little confused about what to buy. There are a few different versions of this vinyl soundtrack that can make trying to sort out which one to get a little difficult. 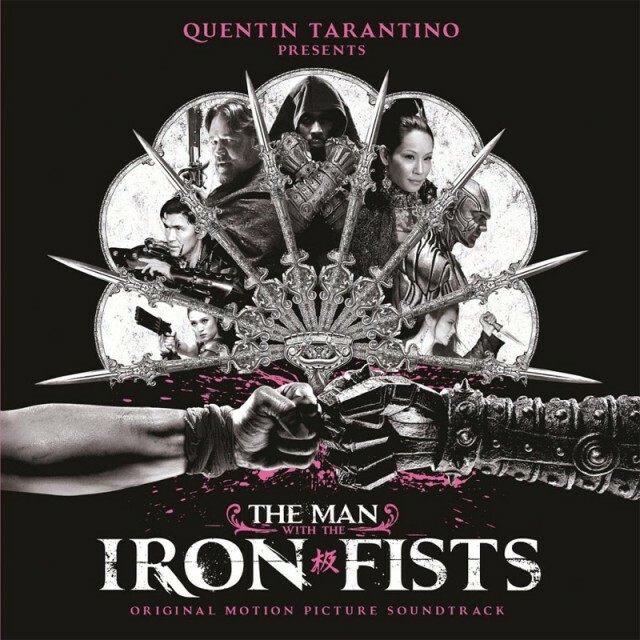 There’s a few versions of the various artists soundtrack that have made it to vinyl, featuring all new exclusive music from a handful of artists from the Wu-Tang camp including RZA himself, Ghostface Killah, Method Man, Raekwon, Kanye West, Corrine Bailey Rae, The Black Keys, Pusha T and Mabel John. 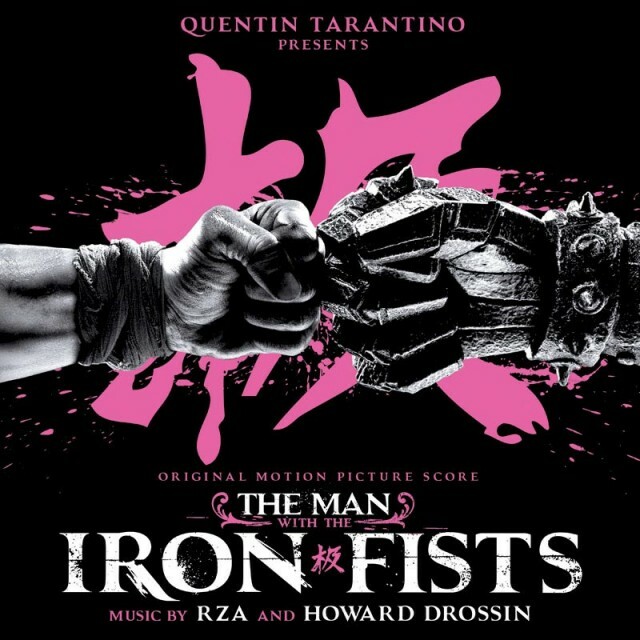 There also appears to be a couple of versions of the original score by RZA and Howard Drossin that are available on Vinyl LP. But don’t despair, I’ve got you covered with all the information you need. Well I think I have. To be honest, trying to sort out all this release info was a bloody nightmare. But using a gazillion sources, I think I’ve pieced it together, at least mostly. Good enough anyway, but feel free to offer any corrections if you know better, since perfect is always better than good enough. To help you understand the differences quickly, it doesn’t really come down to the music itself. 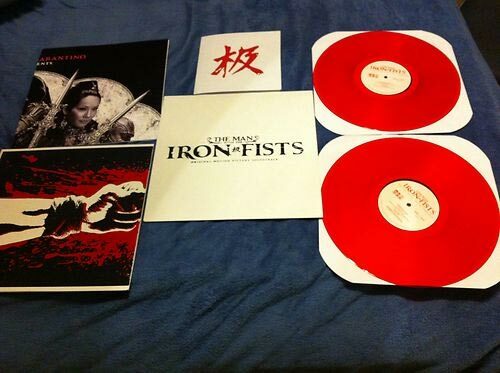 Most of the differences are in special edition release packaging, such as colored vinyl, quality of the pressing, etc. So with that said, below I’ll give you the dish on those details. I’ll show you what’s been released, what’s yet to be released, what’s sold out, and what’s still available from other sources than the original seller that I’ve been able to find. 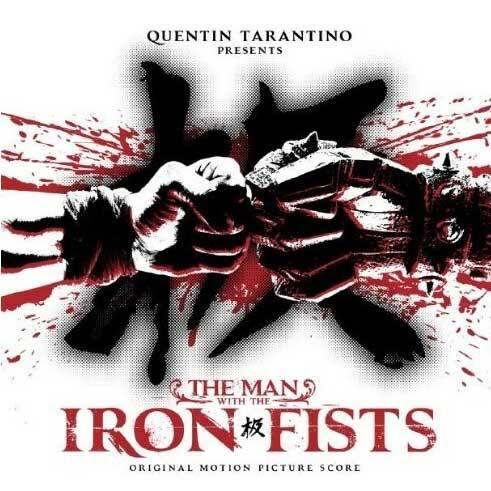 So, if you want the soundtrack to The Man With the Irons Fists on vinyl, one of the links below should be your huckleberry. If you’re like me and prefer the original score rather than the songs, this is the one you’re looking for. 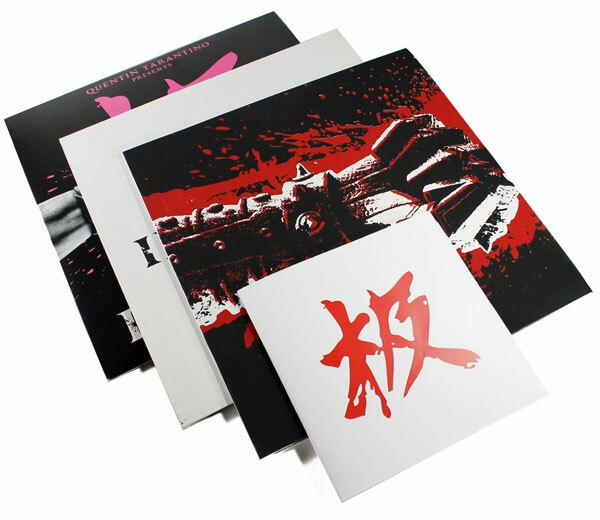 Links I found to snap up one of these double LP score releases. Yes, this release appears to have the same cover as the 180 Double Vinyl LP release above. Upon it’s release this was billed as the “ultimate” soundtrack collector’s edition. Release date: October 22, 2012. Includes 5 audio CD’s with the the soundtrack album personally signed by The RZA. The Limited Edition Soundtrack Instrumental CD. 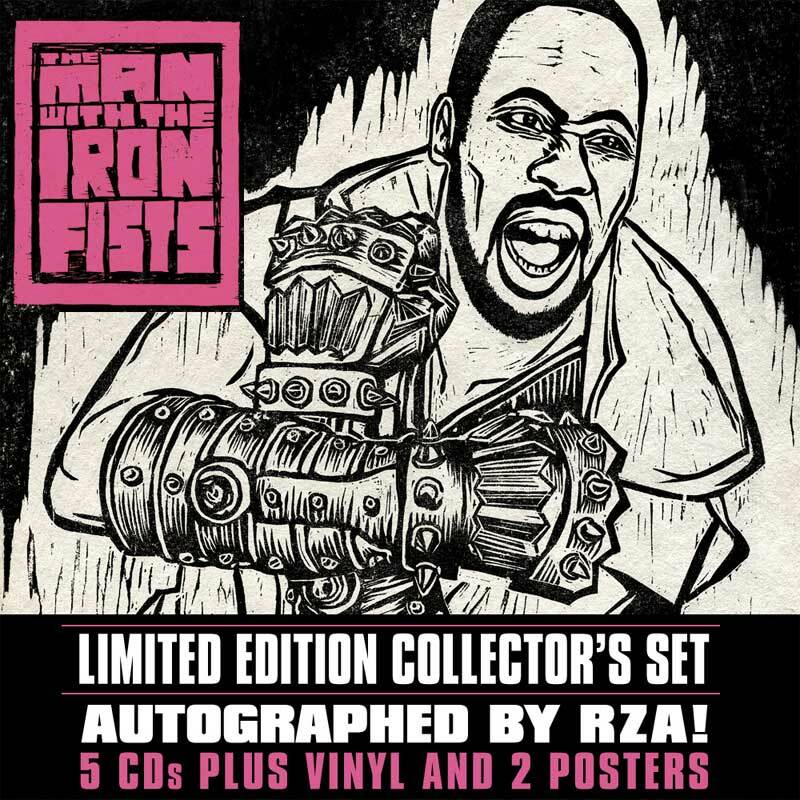 The 2CD set IRON FIST CHRONICLES, a 24 track, 2CD compilation of original soul and funk tracks that inspired the score to the film and the classic sound of the Wu-Tang Clan. 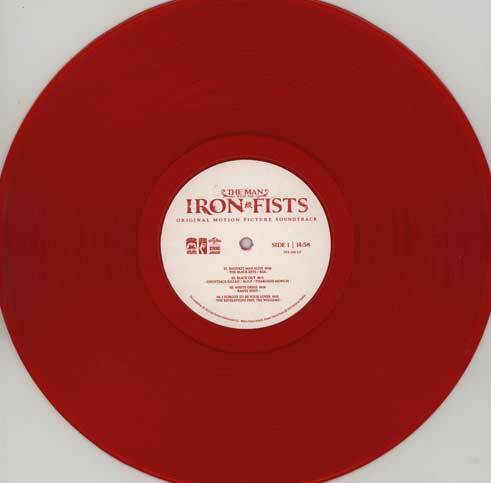 A Super Limited, Hand Silk-Screen Double Colored 12″ Vinyl version of the Soundtrack Album. This package is sold out and is now rare. Now this is a vinyl release of the original score that I’m not entirely certain about. There are vendors selling it on Amazon using the above cover as a display. There are also vendors selling it on Ebay using the above cover as a display. It is also advertised with a release date about a month before the original score vinyl LP I’ve posted above at no.2 above, though I believe it’s real release date is October 30, 2012. I think the only difference between this and no.2 above is that this is the second vinyl release of the original score and is not 180 gram audiophile vinyl.